You finally finished that manuscript. Awesome. 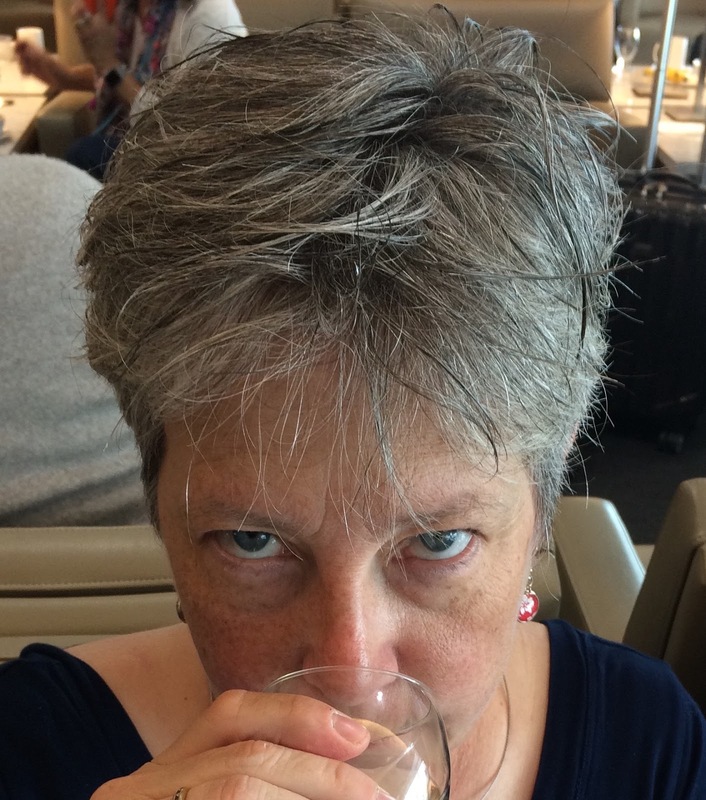 You’re ready to pitch that bad boy at the NCW conference in May, right? Before you show your work to an agent or editor, make sure, at a minimum, you perform these top ten edits. 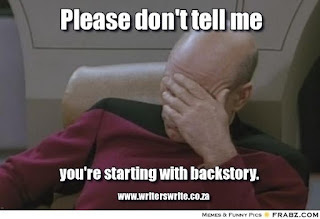 These are the obvious corrections to get out of the way so your time with an industry expert can be spent discussing meatier topics such as story arcs, subplots and elements of style. Show, Don’t Tell. This one is critical. Don’t tell us that your character is angry. Show us that he is upset by describing his clenched fists and the blood vein throbbing at his temple. Don’t say that Mary loved Ralph. Describe how she couldn’t get him out of her mind. Backstory, less is more. 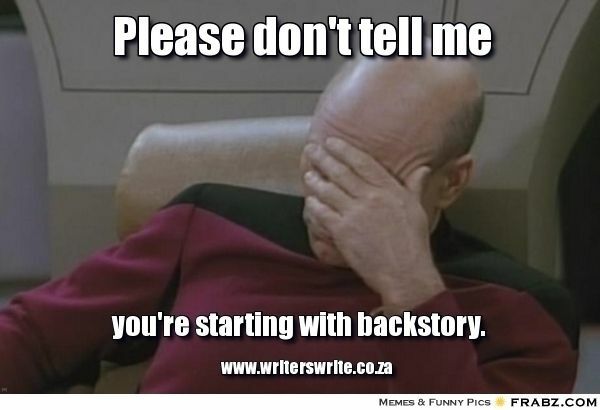 Backstory is everything that happened before your novel begins. You don’t have to describe William’s four years at boarding school in excruciating detail. Just tell us that after four years at Exeter he couldn’t wait to eat in his Mom’s kitchen . . . before he killed her. Jean-Luc Can Face Palm Better than Anyone. Dialog tags. The purpose of a dialog tag is to tell the reader who was speaking. The only one you really need to use is “said,” which is virtually invisible. 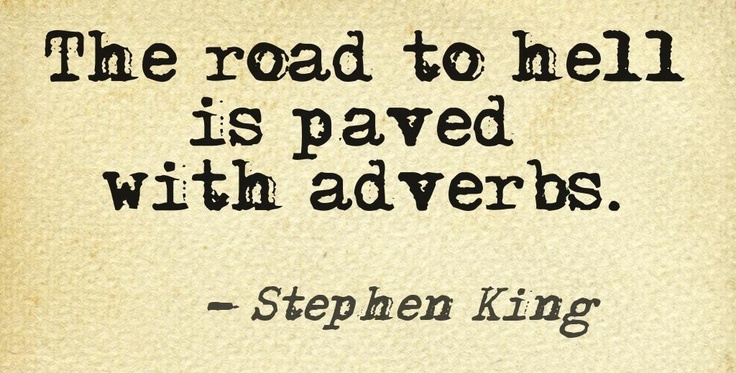 Anything else could slow the reader down, perhaps with the exception of “asked.” Avoid the use of adverbs with your dialogue tags. Let your character’s actions do the job. Do the details make sense? If the scene in your novel is taking place in September, you can’t have your protagonist picking tulips. Would the heroine of your period piece set in the Middle Ages use modern slang? No, she wouldn’t. Fo’ shizzle. Passive Voice. The passive voice places the object of the sentence before the subject. 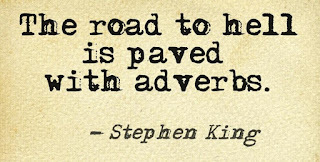 Active voice places the subject first. The mailman was killed by me. I killed the mailman. Which sounds better? The second, right? 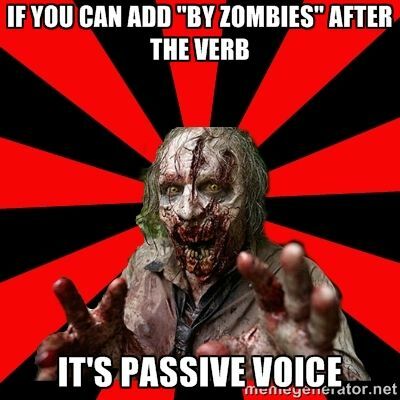 If I Can Add By Zombies, I'm Worrying about More than Passive Voice. The Double Space. If you, dear reader, are old-school like I am, then you absolutely must break yourself of the mandatory two spaces at the end of every sentence that we learned in typing class back in the day when big hair ruled. Here’s a trick: do a “find and replace” command and replace every double space with a single space. Voila! Read it out loud. This is one of the best ways to find your stylistic flaws. You’ll catch the awkward sentences, the excessive adverbs, the overly flowery prose. 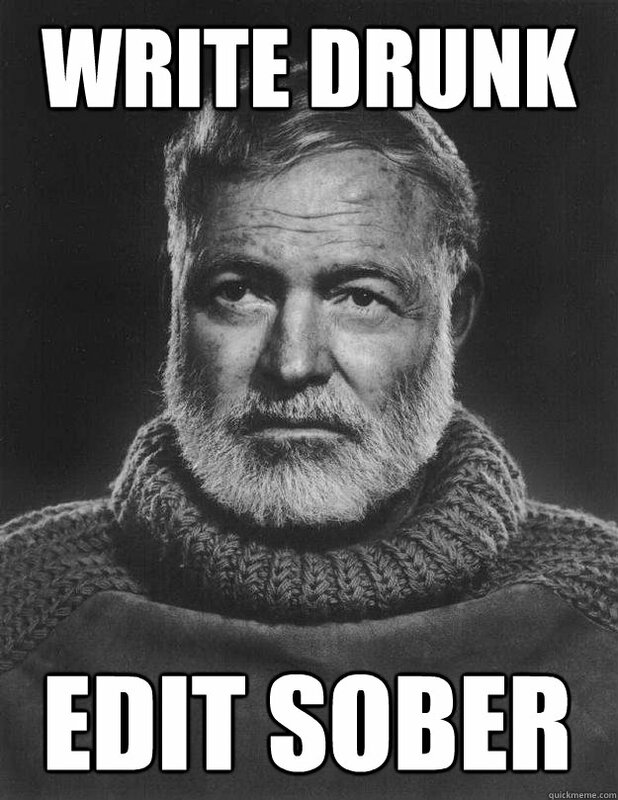 You will also pick up on repetitive descriptions, actions and those pesky crutch words. Great post Ronda, with very helpful tips and reminders for all writers! Great information - and good to relearn. Life needs levity and I'm glad you are here to provide it, Ronda. Thanks for the article!